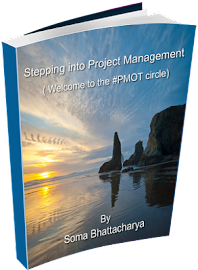 Stepping into Project Management - the journey continues: PM Prepcast- why should you take it? PM Prepcast- why should you take it? Its unusual, effective and loaded with information that can be used for and beyond exams. It’s the PM Prepcast I am talking about and I think the concept is superb. Cornelius has brought in the perfect combination of audio and video to make sure the every single point is communicated. The prepcast consists of episode lists that can be downloaded to your computer and syched with your ipod. It’s a great resource to understand everything you need to know about exams (both CAPM and PMP by PMI) including what happens if you don’t make it in your first attempt, how you should retest etc. Each lesson/podcast is around 25 minutes which comes with very clear and to the point graphics done in a way that helps you understand, remember and sort of reaffirms the audio. By using the dual methods you can remember them easily without having to get back to the podcast over and over again. Who can use the podcast? Certification takers- if you are planning to take your PMP or CAPM its perfect for you. The podcast fits your purse and goal and is a great way to start your preparation. Listen to the tips he has to share on how to use the resource and get through the exam. By the way, he also sends lessons and reminds you through email. 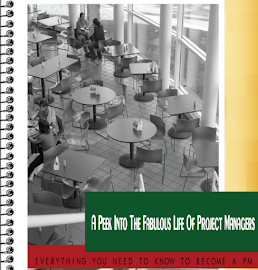 Newbies in project management- A great way to zoom ahead of the other newbies. By listening to these podcast you not only understand project management better but your are aware of the much needed terminology and the intricacies. 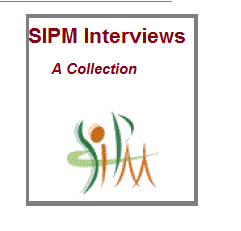 Interview preparation for project management- if you are lining for an interview next week or getting ready for a job search, this podcast will make it a little easier for you. You can brush on the PMBOK knowledge along with other skills and stay head in the game by downloading some free flash cards. What makes you happy PM's?